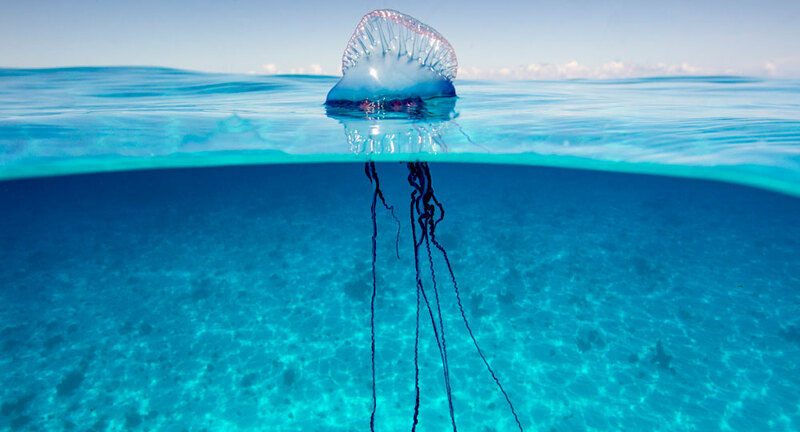 It was recently reported that a Portuguese man o’ war was spotted in Carlisle Bay. This sent many in a panic, largely because of the marginal information about these potentially dangerous creatures and the irregularity of them broaching our shores. Below is the post from Dive Barbados Blue which was shared on Facebook over 900 times. “We’d like to apologize for any panic that was created by our Man O’ War post yesterday and reassure everyone that the oceans are still safe for swimming, diving & fishing! Man O’ Wars are common enough in Barbados, though rarely seen on the West coast. They are dangerous, but typically not life-threatening, so while it is smart to be aware and be prepared, there is no need to boycott the beach or stop swimming in the ocean. Our post was created to inform divers that man o’ wars are being found around our dive sites, so they should be aware that stings may occur (even if you don’t see one close by). Currently we have not had any divers affected by man o’ war stings, and we are not changing our dive schedule in any way because of the sightings. Our recommendations are to wear a proper exposure suit (wetsuit, rashguards, etc) when diving and bring a thermos of hot water onboard just in case. Many remember seeing a colony of these creatures on Finding Nemo when Dory and Marlin (Nemo’s dad) had no choice but to cross in pursuit of… finding Nemo. Dory got stung and Marlin risked his life to go back and rescue her. The name man o’ war was derived from an 18th-century armed sailing ship called the man of war. This was because of the similarity which these creatures bore to the Portuguese version of the ship when at full sail. While they are related to jellyfish, these sea anemones are somewhat different. They both belong to a group called cnidarians, which are ‘nettle animals’, identifiable by their stinging tentacles. A jellyfish, however, is a single multicellular organism while a man o’ war is actually a colonial organism made up of specialized individual animals of the same species. According to the Encyclopedia of New Zealand, these can have two forms. The medusa or jellyfish phase where they are free swimming or the polyp phase where they attach themselves to a surface. They then exist as a colony consisting of these two life forms. The tentacles of these creatures may be compared to a harpoon as they shoot out tiny threads which penetrate and poison their prey. This poison, carbon monoxide, paralyzes small animals which they then grasp with their tentacles and eat. This sting is extremely painful and though rare, could potentially kill humans. Where are they found and why are they here? The Portuguese man o’ war is usually found open waters in tropical or warm climates, such as the Atlantic Ocean. They have no means of self-direction and are moved with the currents, tides, and winds. Therefore, strong winds may push them in the direction of beaches and may even cause them to wash onto the shore. They are sometimes spotted on the east coast due to the strong winds coming off the Atlantic Ocean but less frequently on the south and west coast. 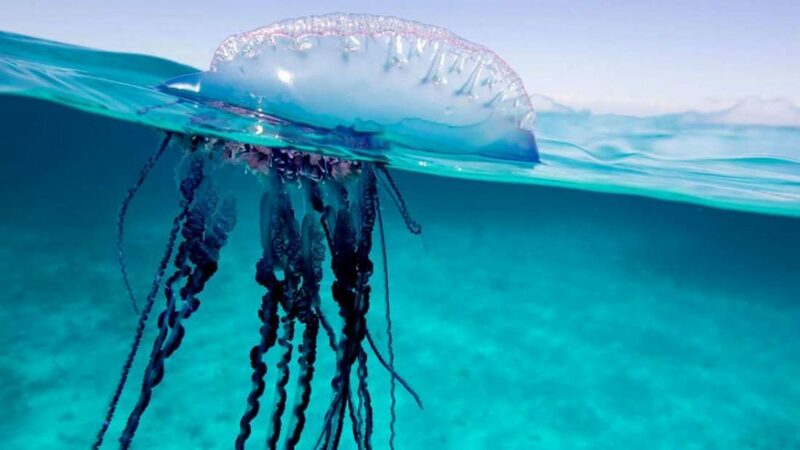 Note though, that if one Portuguese man o’ war is spotted, because of their inability to propel themselves, there are possibly others in the vicinity. The tentacles of these creatures are long and can reach up over 100 feet. Therefore you do not need to be close in order to be stung. They can still sting outside of the water, so If one is seen washed up on the beach, keep your distance. Detached tentacles and dead specimens can still sting and may remain potent for hours after death or detachment. 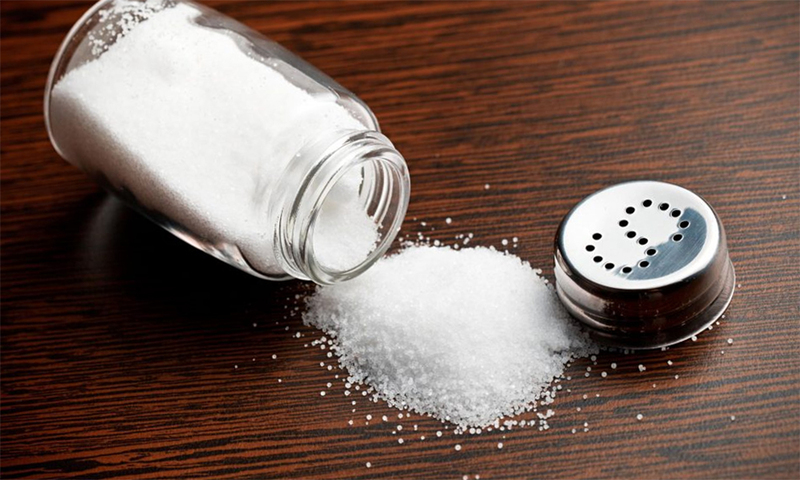 First, pour salt water on the wound. This rinses away any excess microscopic nematocysts – these are minute, elongated, or spherical capsules which are produced by the man o’ war. It is important that you use salt water and not fresh water as fresh water is known to cause the nematocyst to discharge. Next, apply heat, for example, hot salt water or a heat pack. This speeds the breakdown of the toxins which have reached your skin so the hotter, the better. Finally, seek medical attention. The likelihood of being stung is slim but we, like Dive Barbados Blue, want you to be prepared in the event that you come up against a Portuguese man o’ war. Thanks to Dive Barbados Blue for alerting others to this sighting.